As the Sudanese people return home, they find conditions much worse than when they left. To make matters worse, an influx of internally displaced people (IDPs) in communities across Sudan has placed a drain on the already overstretched resources available. Basic infrastructure—most notably water and sanitation infrastructure—has either been destroyed or the existing infrastructure has suffered from a lack of maintenance because of inaccessibility due to the conflict. 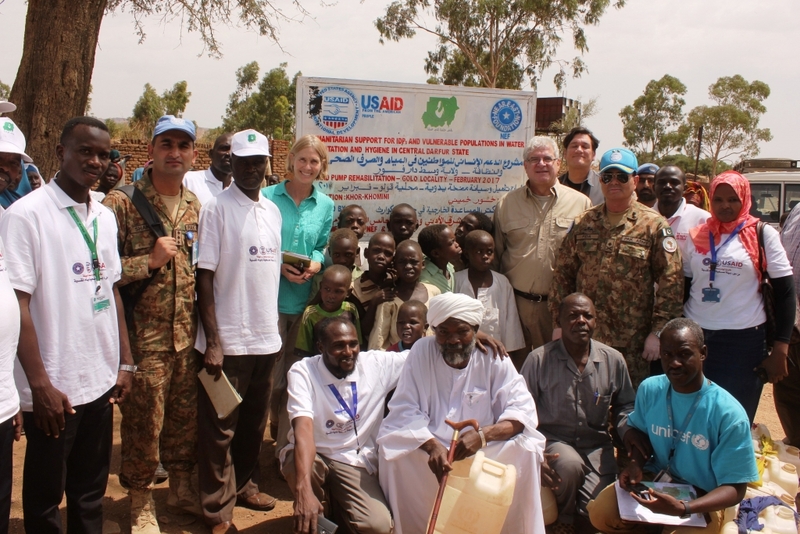 A lack of parts, tools, and trained mechanics, as well as actual damage from rebel activities, has put many hand pumps out of order, or destroyed them completely, and severely reduced the amount of water available to both the local community, including the returnees, and the IDP population. At the same time, a serious lack of latrines and hygiene puts communities at high risk of water borne disease. 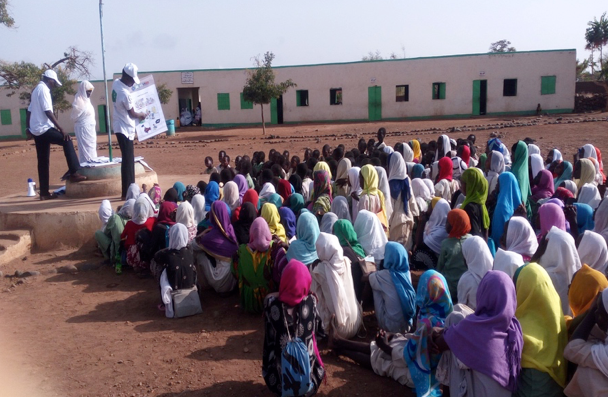 To respond to this crisis, NEF’s teams in South Kordofan and Central Darfur are helping to reduce the risk of morbidity and mortality of nearly 100,000 people by improving their access to clean water, and education on hygiene and sanitation best practices. 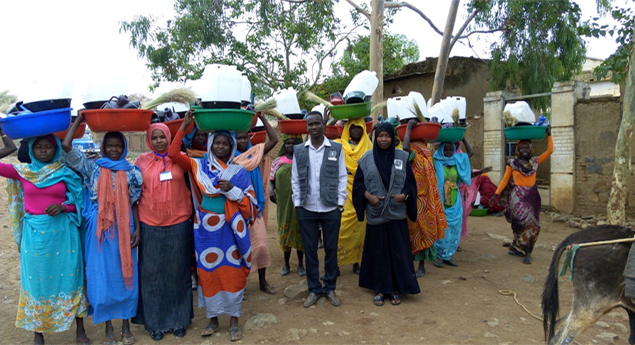 Working within local communities, NEF has mobilized Water and Sanitation Committees (WSCs) and Subcommittees across seven village clusters (Abassiya, Rashad, Abu Karshola, Um Dukhun, Nertiti, Golo, and Rokero). WSCs are trained on best approaches to sanitation and hygiene, and on how to identify and prioritize infrastructure improvements—from water pumps to latrines. To further ensure the sustainability of the project, NEF helps to train and employ local craftspeople and artisans to manufacture and/or rehabilitate water pumps and latrines throughout the villages. 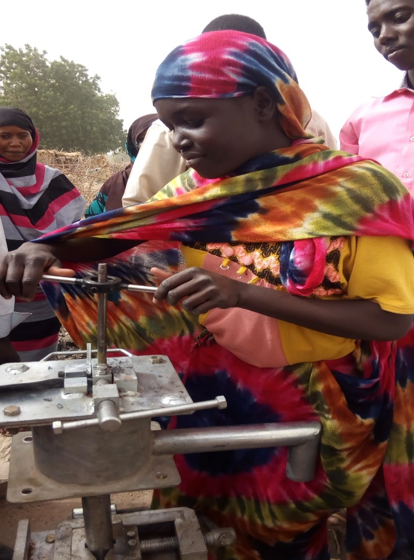 Asmaa Dawood, one of the Sudanese women who attended the hand pump mechanics training, was impressed by the value of what she learned. She also commented that this was the first time women in her village were included in such a training. As of last month, NEF has helped identify 1,720 beneficiaries to receive new latrines, and 85 artisans to help construct them—more than 50 percent have been completed. Furthermore, the WSCs have distributed 1,500 hygiene kits, which include hygiene and sanitation education materials. These efforts have so far benefitted over 50,000 people. NEF’s water, sanitation, and hygiene (WASH) work in Sudan is funded and supported by USAID’s Office of Foreign Disaster Assistance (OFDA). Hygeine kit distribution in Golo. 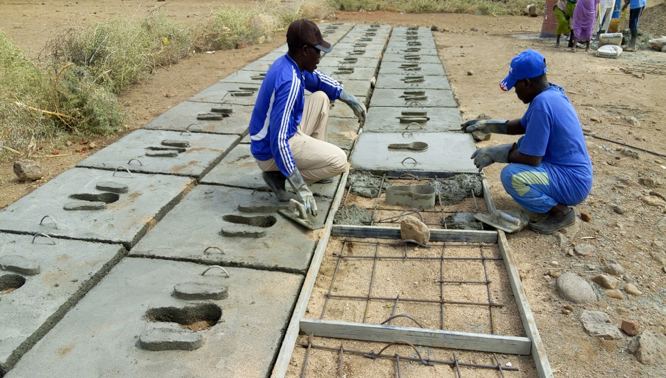 Local artisans at work fabricating latrine slabs. Hygeine and sanitation education for school children.